For practically as long as he’s existed, Aquaman has gotten a bad rap. His telepathic abilities were once limited to fish, and people saw no advantages or practical applications to this. Even as he continued to star in his own featured comics and series, he wasn’t taken seriously by his general audience, aside from the ‘cult classic’ styled fanbase, small but mighty. Although Aquaman is a name met with general laughter and jabs, he’s quite the force to be reckoned with. In this Super Power Play-By-Play, we’ll explore the powers and abilities of Aquaman, the resident sea-life super. Yes, he can communicate telepathically with marine life, which he can summon from a massive distance, but it isn’t limited to common fish and sharks; he’s demonstrated the ability to commune with just about any living creature near the water, including seagulls and even sometimes people. Imagine taking a swim and suddenly hearing Aquaman in your head, telling you to get out of the water! It could definitely have happened prior to DC’s 2011 reboot. In 2011, DC Comics revamped Aquaman and expanded upon what he was capable of and why. Many argued that sea-life didn’t have enough intelligence to be communicating telepathically, and to retcon this, it was said that he “simply adds compulsions and needs in the mindset of aquatic life, compelling them to do his bidding by a subtle altering of their cerebellum.” In this same reboot, we learned that Aquaman displayed the ability to not just live, but thrive in the least forgiving of underwater temperatures and climates. Everyone knows that he can breathe underwater and possess a superhuman strength, but just how strong he is was clarified further when he was seen resisting machine gun fire, leaping up to six miles, swimming up Niagra Falls, and reaching speeds of 3,000 meters per second. For a good idea of what that means, converting that into miles per hour gives you a whopping 6710 MPH. Aquaman can keep up with- and even outpace- the best of them, and he proves it time and time again, despite the naysayers who reduce him to his basic heroic traits and a flashy name. Furthermore, Aquaman is capable of seeing in near-total darkness, and has limited sonar due to his enhanced hearing. At a point in the past, one of his few weaknesses was being on land for too long, but in the DC reboot it was clarified that he grew up on land, and this was no longer a vulnerable point for him. It was pretty difficult to bring Aquaman down to a reasonable level; he boasts a wide array of abilities and has sacrificed a great deal in pursuit of justice for all. In fact, his heroic acts once caused Aquaman to lose his left hand. While he originally replaced it with a hook, then a mechanical hand, eventually the Lady of the Lake granted him a hand made of water. With this hand, he was able to kill instantly through dehydration, heal, shoot hot or cold jets of water, create portals to other dimensions, control almost any body of water he comes into contact with, and actually talk with the Lady of the Lake herself. Talk about being heavy-handed! The Super Power Play-By-Play usually focuses on natural powers, not ones granted or given by physical objects and gadgets, but this author would be remiss not to mention Aquaman’s trident, as it is integral to his character and his emphasis as a superhero. The trident comes in two phases- before the New 52 and after it. Before the New 52, the trident might have been considered simply an overpowered melee weapon. As a gift from Poseidon to the protector of the seas, it was virtually indestructible, capable of destroying the Imperiex Probes, and could be wielded by Aquaman with incredible finesse. In addition to manipulating water, the trident can also fire bolts of magical energy, and hone or focus the energy of others, such as the remarkably powerful Tempest in JLA #68. In the New 52, the trident went from a boosted weapon to an all-powerful artifact. 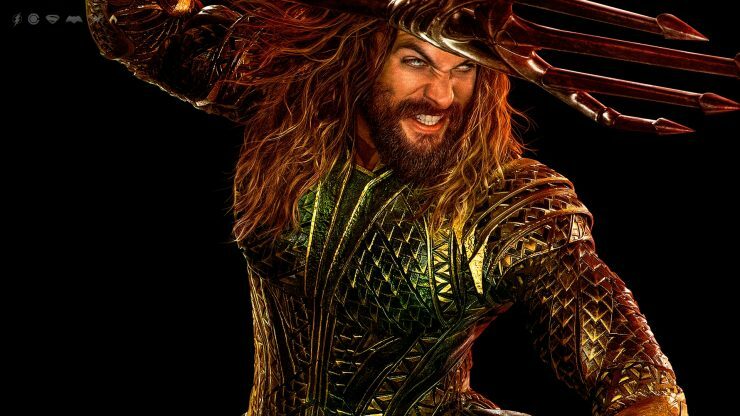 Aquaman’s trident is part of a series of seven extremely deadly and mighty Atlantean magical items, forged by the first king of Atlantis called ‘The Dead King’. The trident in New 52 is so powerful that it was known as the only weapon that could puncture the evil god Darkseid. It is capable of teleportation across massive often interplanetary distances, calling forth a wide array of adverse water-based weather such as tsunamis and hurricanes, breaking unbreakable barriers, turning into gladius (a type of blade) and back at will, and boosting the range of Aquaman’s telepathy. Not only can his trident do all of this, but it is also capable of calling down thunder and lightning, making the ground shake, and manipulating ice, making him truly an elemental soldier to be reckoned with. Aquaman has been through some tough times in pop culture, lacking the respect he deserves for being an underrated superhero with great strength and interesting, unique abilities that more mainstream heroes can’t compete with. One can only hope that the new Aquaman movie coming up later this year will truly do him justice and create a whole new generation of megafans who can see him for what a wonderful, powerful hero he really is. What do you think about the trailer for Aquaman? Are you going to see it, and do you think this will help generate excitement for DC’s less-featured characters? Let Your Geek Sideshow and tell us in the comments below! The Chilling Adventures of Sabrina Premiere Date, Iron Fist's Classic Costume Makes an Appearance, and More! New Symbiotes in the Venom Movie Trailer, Doom Patrol Live-Action Casts Crazy Jane, and More!